This time last year we had snow on the ground and high were in the 30’s. This year the high Christmas Day will be in the mid 50’s and the low will be about 35. Welcome to Georgia! Thunderstorms are expected today and tomorrow as we reach into the high 60’s. So much for a “White Christmas”! I sit here and look out my office window to see overcast skies with a breeze blowing through the trees. 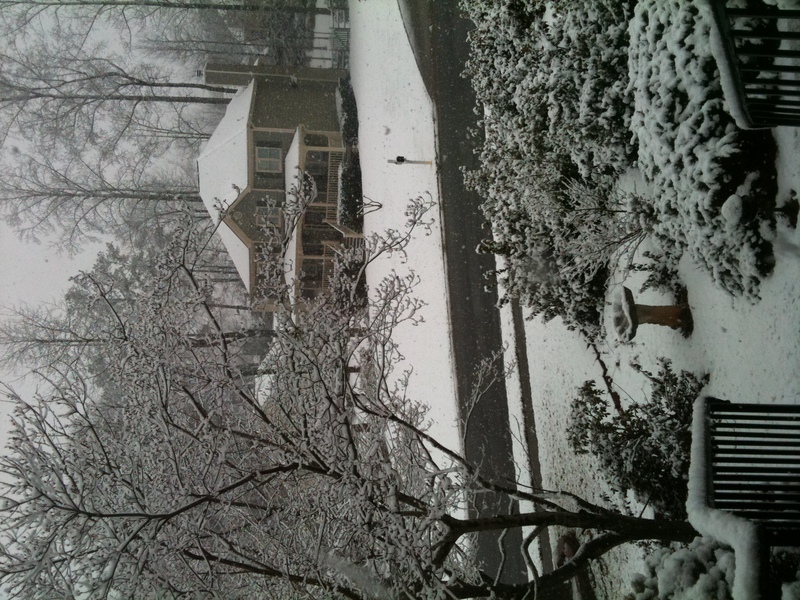 It looks cold outside but wait…this is Georgia…it is pleasant and spring like. I have grown up knowing, that when it comes to weather in the south, tornadoes do not have a set time or season and we can have snow and ice in the spring. There have been memorable White Christmases here and they are beautiful. But, between you and me and the front porch, they can cause more bad than good. People here in the south think they can drive in it…Nope! The power can flicker and go out…”What good is a dark Christmas Tree?” At least you can use the deck for a refrigerator! That is until the sun comes out. I lived in Washington State for years and had the opportunity to be in the snow. I love snow and watching it is mesmerizing. The varied sizes of the falling flakes provide for hours of entertainment. The tree branches bow in respect as the snowflakes land gently among them. The clean, white covering hides the brown landscape and bare trees. The Georgia Pine is frosted with a glistening fluff creating a splendid view that thrills my very soul. Driving in snow is a exciting, skill based activity that should force you to turn around and go home. I really admire those who live in the snowy areas and commute in these treacherous conditions. Living in Georgia I realize my limitations and prepare for the possibility of power failures and no emergency trips to the store. I have to face the fact that there will be no White Christmas for me this year. I’m Dreaming of a Cold Christmas! A girl can dream can’t she!